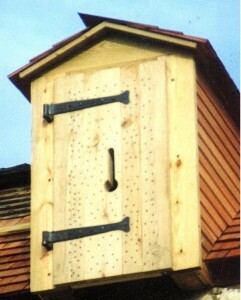 Strap Hinges, Stag Horn Hinges and Thumb Latches for museums, private homes and barns. 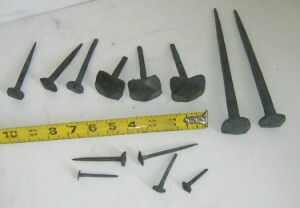 Various sizes of hand forged nails available. Tulip Bud and Tulip finals on strap hinges. 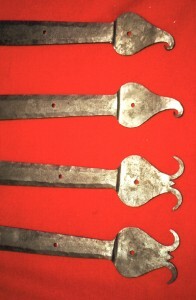 Tulip bud finial strap hinges. 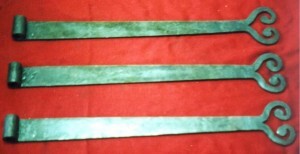 Strap hinges on a shutter. 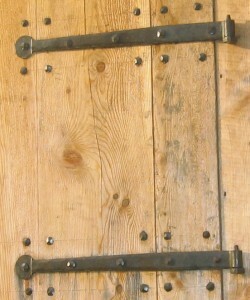 Gate hinges, Ft. Meigs, Perrysburg, Ohio. 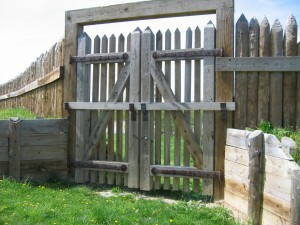 Singe Gate at Ft. Meigs. 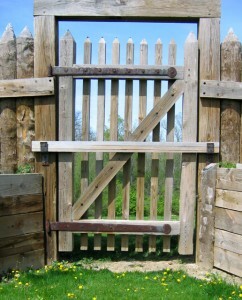 Small shutter hinges or 6 foot long gate hinges, no problem. Uncertain of design, contact us. Have a design in mind, we can work with your ideas as well. All hardware comes complete with handforged nails and all necessary hardware.